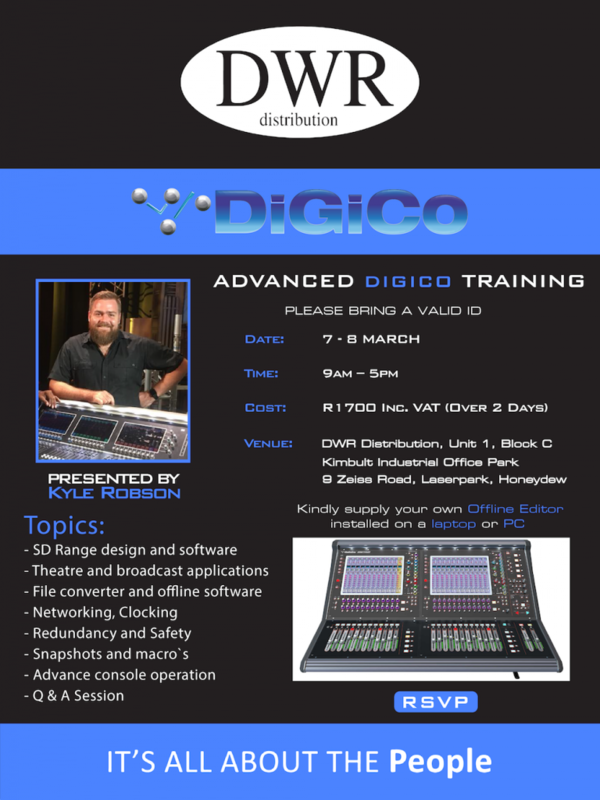 Join Kyle Robson from DWR as he presents a two-day DiGiCo Advanced Training Course on 7thand 8thMarch in Johannesburg. The course will cover a range of topics including the SD range design and software, theatre and broadcast applications, networking, advance console operation and so much more. The cost is R1 700 per person and includes refreshments and lunch. The course will be hosted at DWR Distribution, Block C, Unit 1, Kimbult Industrial Park, 9 Zeiss Street, Laserpark, Honeydew.